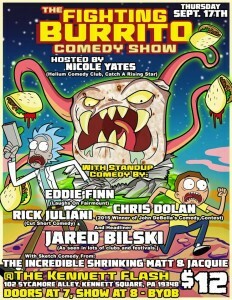 The Fighting Burrito Comedy Show goes on the road to Kennett Flash in Kennet Square, PA, a suburb outside of Philadelphia. 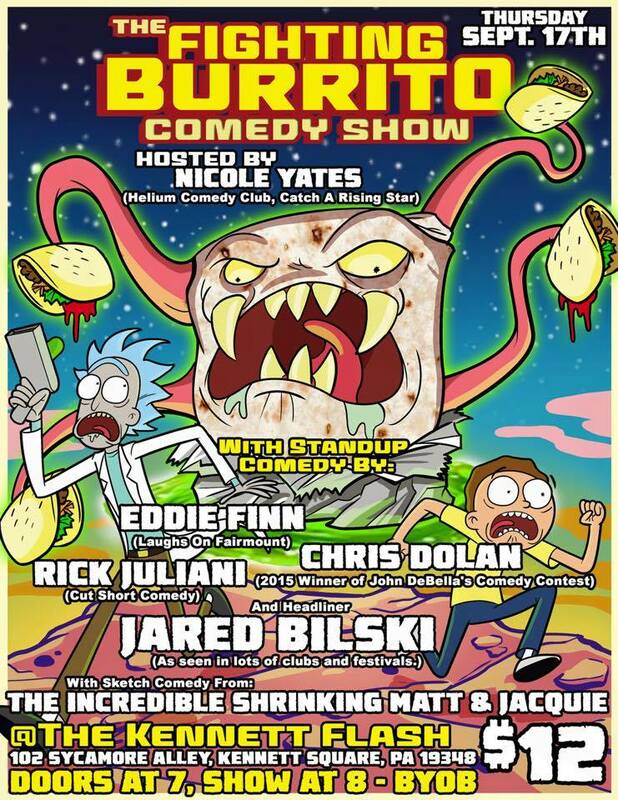 Primarily a stand-up showcase, this month’s Flying Burrito Comedy Show features a performance from sketch group, The Incredible Shrinking Matt & Jacquie. 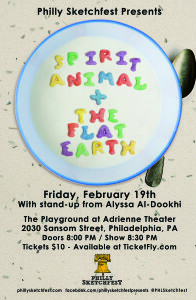 The show is hosted by Nicole Yates and also features comedians Eddie Finn, Rick Juliani, Chris Dolan, and headliner Jared Bilski! 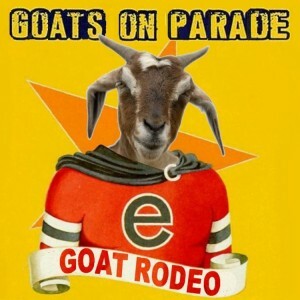 Goat Rodeo wraps up their latest run of “Goats On Parade” with shows this Thursday & Friday. 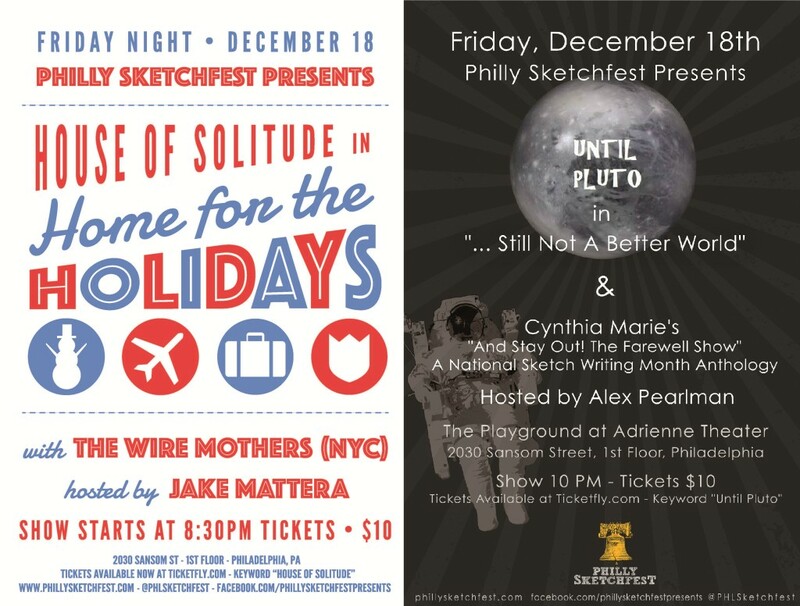 Opening the show, Hoagie Fist – a new sketch trio comprised of Ryan Birchmeier (Best Friends TV Show), Jake Mattera and Steve Swan (Dog Mountain). 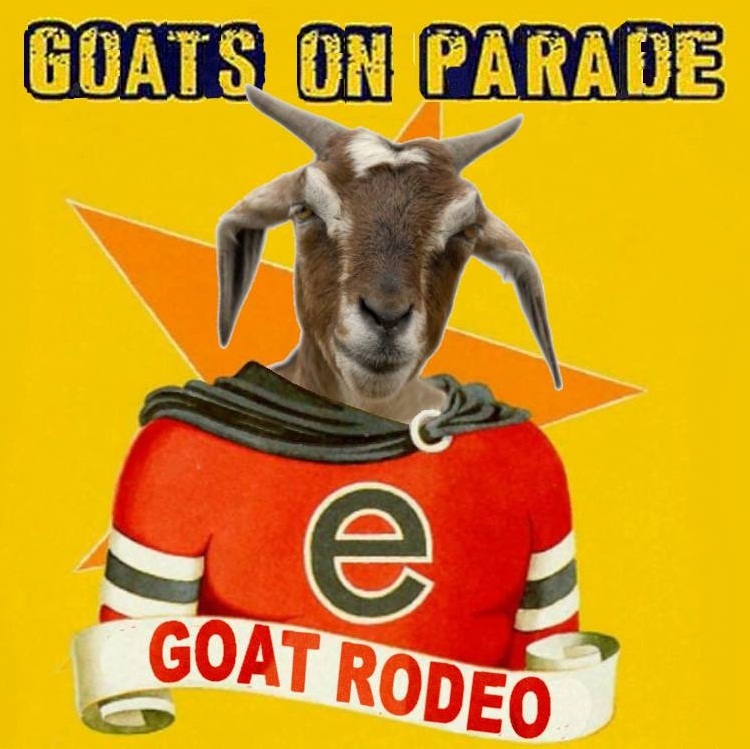 Goat Rodeo is Christian Alsis (The Feeko Bros.), Dan Boldin, Dan Corkery (House of Solitude), Bill Flynn, Kristy Goldy (Youth Large), Jimi Haak, Chris McGrail (Hey, We’re Cool), Justin Miller, Kevin Pettit, Samantha Russell, Sue Taney, Zachary Uzupis and Aubrie Williams (Mani Pedi). 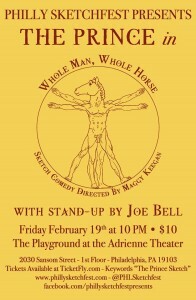 Goat Rodeo is directed by Samantha Russell. 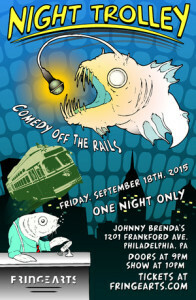 It’s the final week of Philly Fringe Festival and the Night Trolley has arrived for a one-night only event at Johnny Brenda’s. Night Trolley is an experimental new variety comedy show, featuring performances from sketch group, The Incredible Shrinking Matt & Jacquie as well as sketch writer/performers Matt Aukamp, Kate Banford, Joe Moore, Rose Luardo, Pat Reber and host/conductor Matthew Tsang.